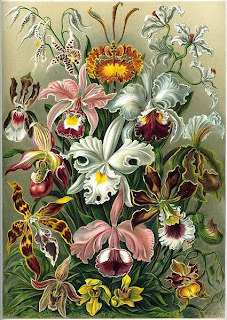 Orchids, from Ernst Haeckel's Kunstformen der Natur. Before I start this post, I should note that this is simply a line of speculation I've had running through my head recently. I have no idea how accurate this is, or whether I'm just spouting a load of hooey. Either way, I think the question is an interesting one. Why are there so many more species of animals than plants? More than 1.2 million species of animals have been described on this planet to date, as opposed to only about 300,000 species of plant. Even if one allows for differing species concepts, as yet undescribed species*, etc. there is no question of measuring error - animal species outnumber plant species more than four to one. Also, while most animal species tend to have clear distinctions from their closest relatives, plant species have a greater tendency to bleed into each other, with less clear boundaries (The same is also true of other non-animal eukaryotes and prokaryotes. Animals are the wierd ones in this regard). A comparison between animal and plant fossil records shows significant differences as well - even when they first arrived on land, plants never underwent an equivalent of the animals' Cambrian explosion. Plant evolution has been a far more sedate affair, with the divergences of the major modern taxa more spread out in time. *Of which there are probably a higher proportion of animals than plants, anyway. Plants are generally easier to study in terms of biodiversity because they don't usually run away. These points all suggest that speciation tends to happen differently for animals and plants. Why should this be? At least one major factor, I suspect, is that unlike most plants, most animals engage in active behaviour. Mobility is the key to the animals' evolutionary diversity. In most animals, reproduction happens through more or less direct copulation. As such, animals have a direct choice as regards whose gametes they fertilise or are fertilised by. Plants, in contrast, use more indirect means - wind pollination, or intermediary pollinators. As a result, their control over their fertilisation is more limited. Even in those species pollinated by insects and other animals, pollinator specialisation seems to play little part in speciation, and most pollinators are not hugely discriminating in their visits (Waser, 1998). 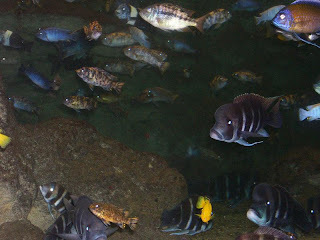 A diversity of cichlids at Dallas Aquarium. Photo by Tanya Dewey. Speciation is the process of isolating gene pools. The differences between controlled fertilisation in animals versus more uncontrolled fertilisation in plants means that speciation in animals tends to be an active process, while that of plants tends to be a passive process. Changes in mate choice can lead to rapid speciation - for instance, they were probably a major factor in the evolution of the cichlid species flocks of the African Great Lakes*. For those organisms in which mate choice is not generally a factor, speciation is more likely to occur as a result of stochastic processes such as genetic drift. Isolating factors between species will develop with less frequency, and those barriers that do develop are likely to be less resilient. *Lake Victoria is home to over three hundred endemic cichlid species, but sedimentary data indicate that the lake itself has only been there in its present incarnation for the last 12,000 years or so (Johnson et al., 1996). That implies the divergence of, on average, one new cichlid species every forty years. As a test of this idea, one can look to those plants and animals that provide the exceptions proving the rules. In animals, many marine animals such as corals are broadcast spawners - they release gametes into the water and fertilisation occurs after the gametes leave the parent. Despite their worldwide distribution, corals are not a hugely speciose group of animals, with a little over two thousand known species. Or compare the diversity of the mostly broadcast-spawning bivalves (30,000 species) with the more often directly-fertilising gastropods (40,000 species). Perhaps the most dramatic support comes from the orchids. While other flowering plants entice their fertilisers with food rewards such as nectar and pollen, orchids have developed more nefarious methods such as pseudocopulation or providing their pollinators with fragrant chemicals that the pollinators can use in their own mating displays. As a result, orchids are one group of plants for which direct mate choice is a significant factor, and speciation in orchids has boomed. Orchids include about 22,000 species, while their sister group, the remainder of the Asparagales, contains only about four thousand species all up. Johnson, T. C., C. A. Scholz, M. R. Talbot, K. Kelts, R. D. Ricketts, G. Ngobi, K. Beuning, I. Ssemmanda & J. W. McGill. 1996. Late Pleistocene desiccation of Lake Victoria and rapid evolution of cichlid fishes. Science 273: 1091-1093. Waser, N. M. 1998. 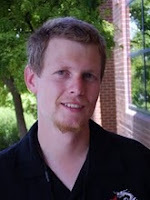 Pollination, angiosperm speciation, and the nature of species boundaries. Oikos 82 (1): 198-201. This conversation might take an interesting twist if we put it in the context of arthropod diversity - ignore that single animal phylum and plant versus animal diversity appears very similar. This shifts the focus from active behavior as a a key factor to high niche fragmentation capabilities, presumably due to size and vagility. Your point about orchids brings an interesting question to mind - virtually all angiosperms have pollinator-driven specialization opportunities, why have the orchids been so spectacularly successful at exploiting them? 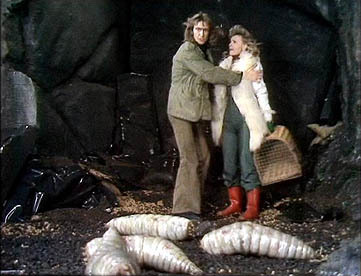 Very good point about the arthropods, Ted, and one that I must confess that I'd missed. Even just eliminating holometabolan insects and mites would even the scoreborad considerably. On that line, I also should note that not too long after I'd written this post it occurred to me that the difference in species number between bivalves and gastropods that I'd mentioned is just as likely to be because the scrape-feeding gastropods have been able to diversify into so many niches than filter-feeding bivalves (terrestrial environments, for instance). I do think, however, it is their exploitation of the breeding behaviours of their pollinators that explains the speciosity (is that a word?) of orchids. Attracting a pollinator for pseudocopulation is a much more exacting business than attracting them with food. Also, speciation in pseudocopulating pollinators leading to changes in the normal breeding behaviour of that pollinator would lead to selective pressure for the orchid to evolve (and possibly speciate) as it tracks those changes. I can't guess why no other group of flowering plants seems to have taken this tack. Maybe it's because, the diversity of orchids notwithstanding, it's just not a very effective method. Fertilisation rates in orchids are exceedingly low, and while there may be more species of orchids, the average orchid species is probably far less abundant than the average plant species in general. Orchids may be able to deal with such a hopeless fertilisation system because of the thousands of seeds that a flower will produce on the rare occassion that one is pollinated. So many more niches, I mean. "they don't usually run away." Do you have any examples of plants that do run away? Could it be due to the very early "choices" that plants (chlorobionta) made in evolution, which limit their ability to diversify? -Cell walls add strength, but reduces flexibility, so no legs to move around in the ecosystem. -Passive immune system requires a large DNA library of chemical warfare agents, which can't adapt quickly. Fascinating idea. Maybe someday I'll try creating some programmatic models to test it. An alternative idea (at least as goofy) might have to do with vicariance and dispersal. I wonder if those basic differences produce more opportunities for vicariant speciation for one than the other. Genetic inflow from dispersal would reduce vicariance, whereas the dispersal itself would increase opportunities for vicariance. I'd guess we'll eventually find (as in all ecology) that there are numerous factors needed to explain why one kingdom is more speciose than another. Then it would be a matter of quantifying which factors are more important (or limiting) in which taxa. Size: plants on average tend to be much larger than the average arthropod. Ability to manipulate the environment: radulas and gasters of snails may not give as many ways of manipulating the environment as an assemblage of jointed limbs and mouthparts. The species disparity between the plants & animals may also have something to do with the fact that many animals directly rely on plants for survival. This may have led to specializations & consequently to speciation among the animals that compete for the same plant. Attracting a pollinator for pseudocopulation is a much more exacting business than attracting them with food. Here, here, beetlesinthebush! I did some some (very) crude calculations, with underestimates for caution's sake, and came up with some very interesting totals. The grand total of animal species, WITHOUT arthropods, is approximately 214,000. Fungi constitute approximately 70,000 spp, and these two together lead to ~284,000 spp (again, without arthropods). This group has been around about as long as the chlorophytes, if the phylogenies be believed, consisting of the green algae (perhaps the red algae) and land plants. Interestingly, just green algae+land plants house ~278,000 spp (~280,000 if you count the reds).